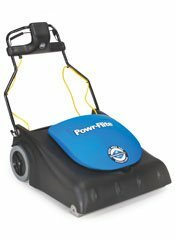 The PF2031 Wide Area Vacuum is a feature packed and powerful wide area vacuum that will help you tackle the largest carpeted areas including convention centers, airports and hotels. Its 30" cleaning path makes quick work of large areas by doing the work of 3 vacuums in one pass. The PF2031 includes our 4 stage filtration technology filtering 98.6% of dust and debris particles down to .3 microns. This wide area vacuum is a must have for all large applications.